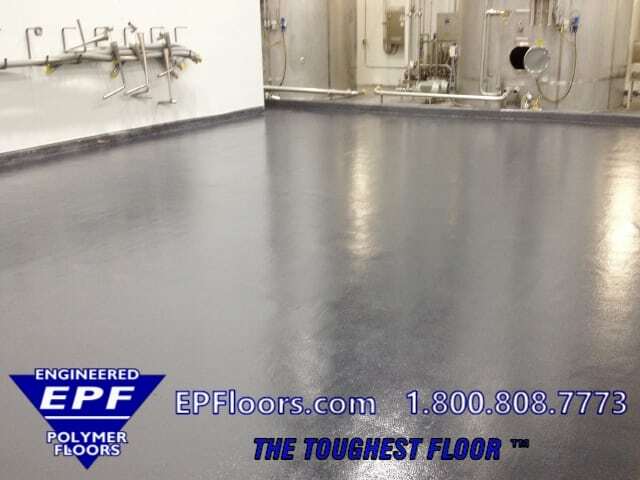 EPF specializes in antimicrobial flooring for industries requiring an extra level of antimicrobial protection. 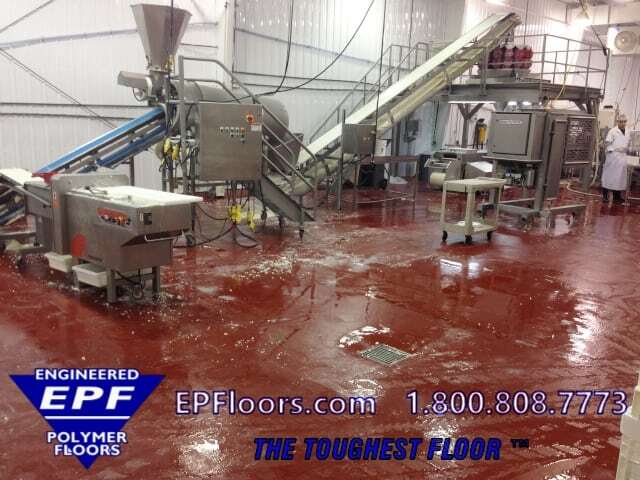 Food processing, beverage processing, pharmaceutical and chemical industries often wash down and sanitize their floors. Floors that are easy to clean and sanitize are critical within these environments. Our sanitary seamless floors include both epoxy and urethane flooring, and are customized for the needs on each project. 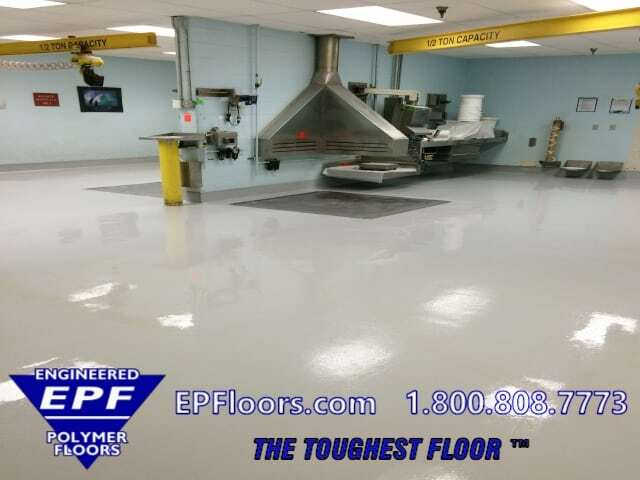 Since EPF is vertically integrated, we are able to provide manufacturing of materials and installation by our own crews, and an exclusive EPF 5 year warranty. We have a USA installation network in all 50 states, to provide localized service throughout the country. 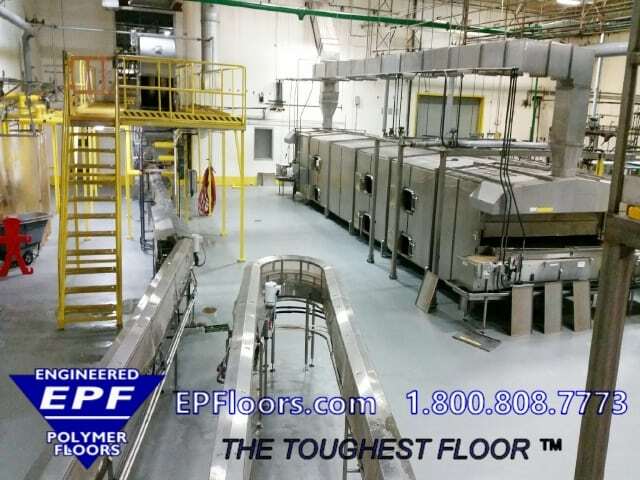 EPF has over 30 years of experience in food processing as well as many other processing industries. Our antibacterial floors are durable, reliable and cost effective. PUMA-CRETE® industrial flooring is not an epoxy floor, but is a urethane cement mortar (they look similar, but are vastly different). Here is a list of food processing floor options. PUMA-CRETE® floors are antimicrobial, and do not support the growth of bacteria. A non-sacrificial antimicrobial flooring additive is integrated throughout the system, to inhibit the growth of microorganisms such as bacteria and its odors. 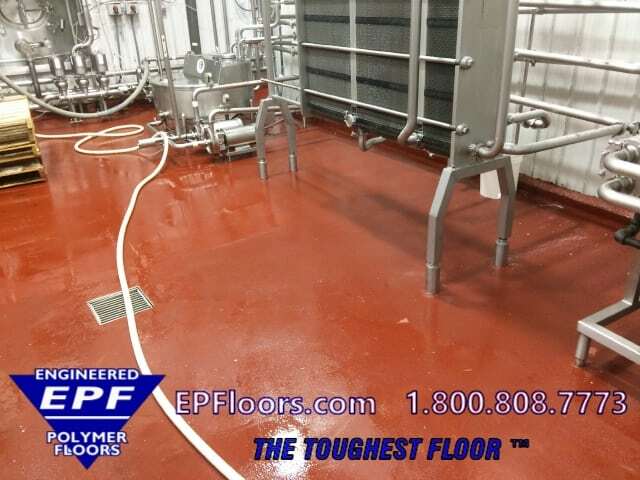 These PUMA-CRETE® antimicrobial urethane floor systems are troweled floors, typically at 1/4 inch thickness. They are durable, seamless, non-porous and easily cleaned. 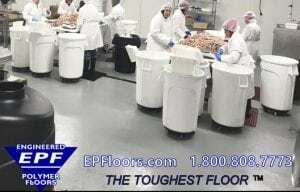 This food grade flooring minimizes areas where mold, bacteria, and other infectious agents grow, especially in wet environments. 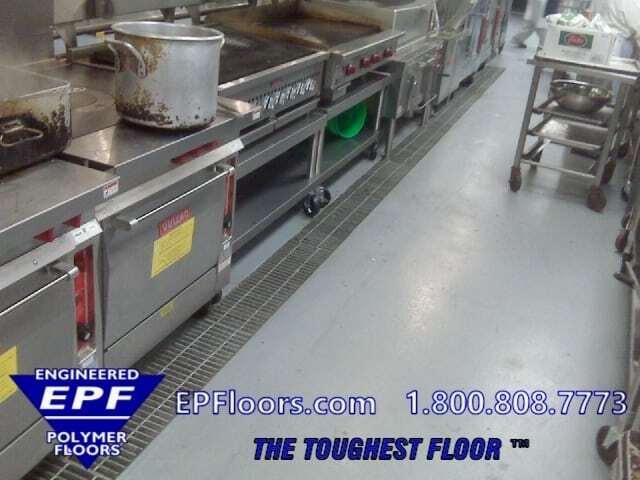 PUMA-CRETE® food safe floor systems have optional features which enhance the cleaning. Integral sanitary cove base, at the floor and wall junction, provides a more cleanable finish at vertical surfaces. The cove base is available in the standard “ships cove”, or 45 degree angle. Another variation is a curved radius cove base. This is slightly less durable, but the ultimate in cleanability. 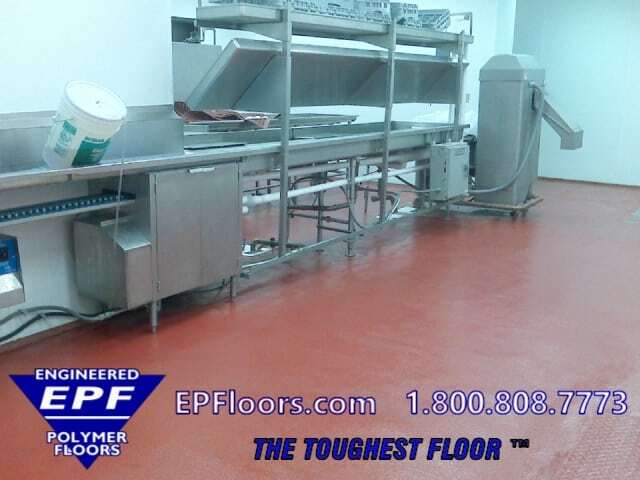 The ultimate in durability, PUMA-CRETE® sanitary flooring can resist scraping, gouging, and other physical abuse. PUMA-CRETE® is 2-3 times stronger than concrete. It withstands thermal shock and cycling in coolers and processing areas. Resistant to virtually all chemicals using in food and beverage processing facilities. It features a permanent non slip texture. PUMA-CRETE® flooring meets all required standards for USDA approved flooring and GFSI guidelines for SQF certification. FDA approved, it meets the FSMA requirements. HACCP compliant, it will also pass all food safety audits, including IFS, FSSC 22000 and BRC. PUMA-CRETE® may be sloped to drains, to eliminate puddles. If your brick or tile floor has gaps and voids which allow bacterial entry, PUMA-CRETE® flooring may also be applied over brick or tile. We provide each customer with a designated project team. This includes a project manager, who handles the project coordination between customer and the installation team. Our installation team consists of a site manager, team leader, and 6-12 flooring technicians. These expert installation crews have been highly trained and certified to install PUMA-CRETE® flooring. 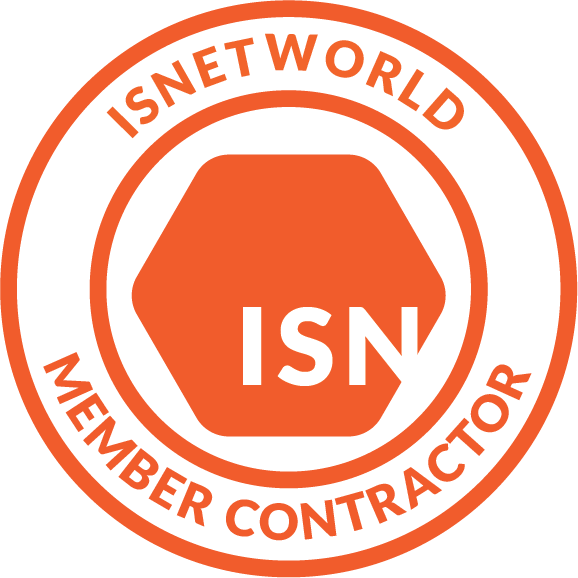 Before the project starts, we compile a “job readiness” form for your specific facility, which details all of the specifics of your company requirements for vendors, area requirements, time requirements for turnaround, logistics and utilities. Our team follows time tested checklists, and leave nothing to chance. This will be the last antimicrobial floor that you will ever need! 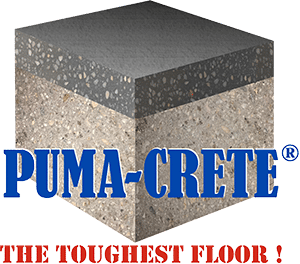 Check out PUMA-CRETE Advantages Over the Competition !